Tracing the development of Greek romances from 200 B.C. through twelfth-century Byzantium, Tomas Hägg analyses the content, plot and narrative techniques of the ancient novel, and explores the social and literary milieu in which the genre flourished. 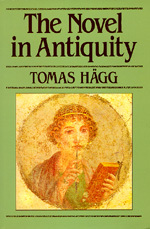 Tomas Hägg is Professor of Classical Philology at the University of Bergen.